Tesla CEO Elon Musk promises profits going forward. The Trump administration releases its proposal to freeze fuel economy and emissions standards. A California study details how the state can power up to 5 million electric cars without stressing the grid. And the cars Model 3 buyers trade in for their new electric car says something about them. All of this and more on Green Car Reports. Tesla’s Musk said the company has cut its losses slightly and promised profits next quarter as it rushes to ramp up Model 3 production. President Donald Trump and federal officials released the official proposal to roll back Obama-era fuel economy and emissions regulations. The proposal would freeze standards at 2020 levels through 2026. A new study detailed how California can power up to 5 million electric cars without putting too much stress on its electric grid. The state also said the negatives surrounding grid updates don’t outweigh the benefits of electric cars. 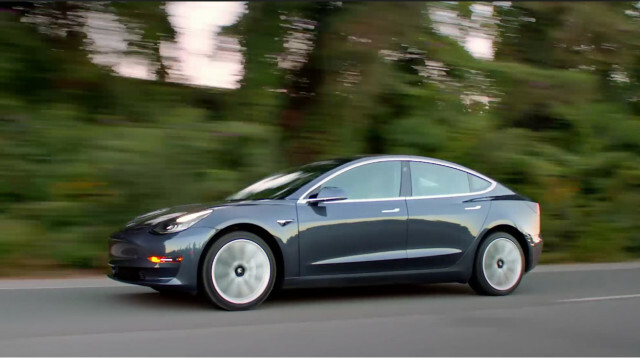 The cars Tesla Model 3 buyers are trading in says something about them, and they’re often trading up. Kia will recall all Stinger models finished in Sunset Yellow for resprays. Customers will have other compensation and trade options available to them. Finally, Ram will recall 1.1 million pickup trucks over faulty tailgate hatches.